Join us for Easter Brunch at the Backstage Lounge at The Point! Sunday, April 21 from 10 a.m. to 2 p.m. 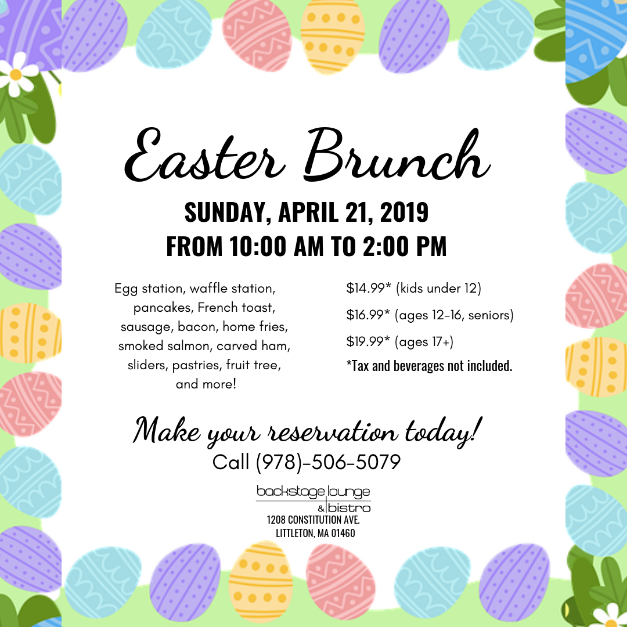 Egg station, waffle station, pancakes, French toast, bacon, sausage, home fries, smoked salmon, carved ham, sliders, pastries, fruit tree, and more! *Tax and beverages not included. Make your reservation today! (978) 506-5079.